We are Supplying testing and commissioning of H.T. metering cubicle (KIOSK), VCB, MCC, PCC, APFC panels, motors, transformers oil testing, Neutral Grounding Resistor, Bus duct, Ring main unit, Bus trunking system. L.T and H.T cable laying, jointing, termination, Power Cable Termination, Installation of D.G. set. The foundation stone of ICC was laid down in the year 2000. 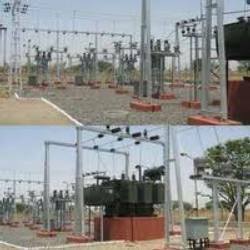 We are engaged in rendering industrial electrical contracting services in India. Also we are manufacturer of PIR motion sensors. The company is located at Pune, India. The team at ICC comprises of professionals having vast experience and is dedicated to the objective of providing complete satisfaction to the clients. Innovating on a continuous basis, the team comprising technocrats and management experts strives to maintain high quality standards in the industry. Quality for us means leaving no stone unturned while rendering professional services for time bound installation and maintenance. Minimizing the down time while providing expert services and keeping a close tab on the quality of services rendered with minimum utilization of resources. Working with an aim of saving electric energy, our services are rendered to minimize the costs of the clients. Providing satisfaction to the clients translates into saving their resources in the most efficient manner and also making our services available at the most affordable rates in the industry.